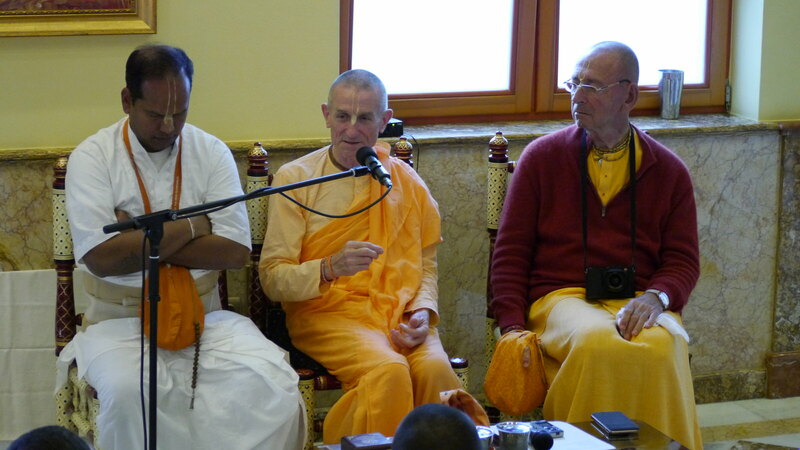 Leaving the countryside farm of New Vrajadhama for the capital of Hungary, Budapest, we arrived at the temple of Their merciful Lordships Sri Sri Dayal Nitai Vijay Gauranga on April 20th, rested a few days and finally held a most amazing and enlivening fundraising program with Sivarama Maharaja and 120+ devotees present. The Hungarian Yatra has been personally built up and developed with the oversight and guidance of Sivarama Maharaja for over thirty years. It is a smooth running and well organized zone with many Krishna conscious activities, and self sustainability as its foundation. For the last three years a photo of the TOVP has adorned and been worshiped daily on the temple altar next to Srila Prabhupada indicating the recognition of the importance of this dear-most project of his. 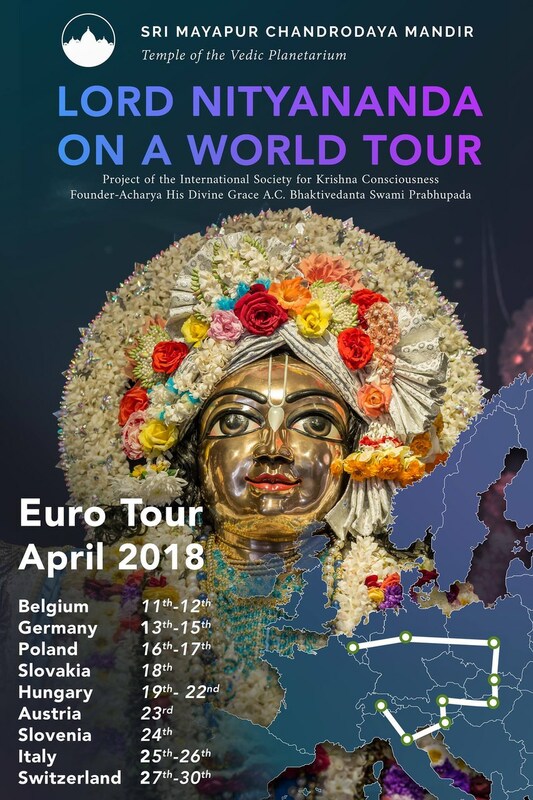 After the normal greeting of the Padukas and Sitari, kirtan and abhisheka, Maharaja spoke incessantly about the glories of the TOVP, expressing the point that after thirty years of building the Hungarian Yatra it is now time to build Mayapur. His enthusiasm was infectious and Maharaja personally made a pledge for a Silver Srivas Coin (EUR 9,000/USD 11,000), and after the completion of speeches by Jananivas and Braja Vilas prabhus and a video presentation, one after another devotees began to also pledge for Silver Srivas Coins. Twenty Silver Coin pledges were received that day in addition to many other pledges, totaling more than USD 470,000! Another miracle for the European Yatras and the highest collection yet. Including New Vrajadhama Farm the total pledges for the Hungarian Yatra exceeded USD 500,000. We are grateful for Maharaja’s example and leadership. Despite some health issues that day, Maharaja said that after the TOVP program he felt perfectly fine. He went even further to arrange that a mold of Lord Nityananda’s Padukas be made and placed on the altar. He also went out of his way to arrange for the care of the TOVP Team and our visits to the following locations, calling every day to hear the results. We want to also thank the temple president, Gauramani das for his full cooperation and support, and Sanatana and Radha Krishna prabhus for coordinating the program arrangements and our accommodations. All glories to Lord Nityananda! All glories to Lord Nrsimha! All glories to all the devotees of the Lord! Our next stop will be Vienna, Austria on April 23rd. The complete Euro Tour schedule is below.